Everybody asks me “What do you do with your sheep?” My typical answer is pet them and feed them and watch them, it’s very relaxing. But there’s another side to shepherding, a darker side, one you can never fully recover from… Fiber Arts. Fiber Arts are all those things you do with the wool once it comes off the animal. 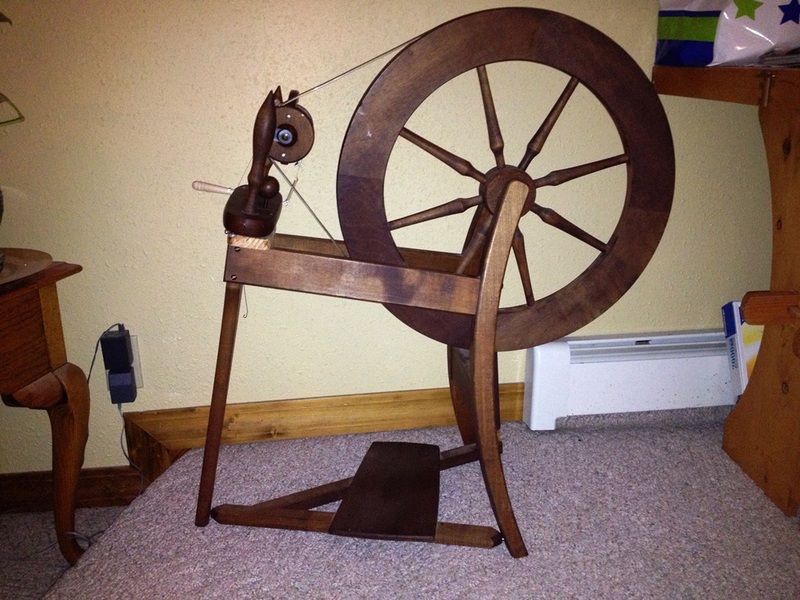 Spinning, knitting, felting, and crochet, just to name a few. I’ve never deliberately felted anything but I’m game to try. First I’d like to master some spinning to augment my knitting and crochet habit. Winter is coming so there will be plenty of time to fibernate and practice all the wonderful things I learned at the Fiber Retreat. And now one of the dogs is blowing her coat so I’ll have that to play with as well. So many exciting new things to explore, I can’t wait for a good blizzard to trap me in the house for awhile.